What Are These Things We Call "Companies"? We have had a reasonable first half of the year, with Euclidean Fund I up 3.9% net of fees and expenses in the context of the S&P 500 delivering a 2.7% total return, including dividends. After several years of investors being rewarded for risk-seeking behavior—reflected in rising valuations for companies with little or no profits, easy corporate debt issuance, and exploding crypto markets—it is not clear whether investors are beginning to pay greater attention to the cash flows (or lack thereof) underlying the investments they hold. Thus, we devote our energy to two things. 1] First, we adhere to a process for owning equities that our analysis suggests are offered at a discount to the inherent value reflected in their cash flows. 2] Second, we continue to refine how we invest by marrying our experiences, logic, and the use of machine learning. Our aim is to ever strengthen Euclidean’s process for assessing how individual companies’ financials may evolve, so that we identify companies where investors’ expectations (and thus current market values) have a good probability of proving too low. Given that we have written about Euclidean’s investment process in previous communications, we thought we would share a little about how we think about companies. Doing so highlights what we focus on and where we search for additional insight. What are these things we call “companies”? What gives a company its value? We like foundational questions like these, because getting back to basics can illuminate opportunities to intelligently separate from the crowd. For example, when sitting with the seemingly simple question of “What are these things we call companies?” we notice that we operate in a world where many market participants focus on stories, tickers, valuation ratios, and price trends. Yet, behind every ticker and ratio, there is a real company—an organization of people and resources that comes together in a unique way to create or destroy capital. We believe it is this quality, the company’s ongoing ability to generate cash—and not its current price, price trend, P/E ratio, or analyst rating—that will ultimately determine the company’s longevity and value. 1] Companies’ cash flows serve as a long-term attractor to market price. That is, when stock prices get very high in relation to cash flows, they subsequently tend to perform poorly. Conversely, when stock prices are very low in relation to cash flows, they tend to deliver better-than-average returns. 2] Stock volatility has been much too extreme to be explained by any rational estimate of companies’ future distributable cash. So then, how can we best capitalize on this observation? The challenge with capitalizing on Shiller’s observations is, of course, that we are not clairvoyant and cannot know what companies’ future cash flows will be. Even worse, as human beings, we are not wired to be good statistical thinkers and to intuit useful, range-bound estimates of likely future outcomes. Instead, we are wired to embrace the perspectives that are most easily processed by our brains, which are often ones that confirm what we already believe or resemble what we have recently seen. If we are not careful, these kinds of subconscious mental shortcuts can cause us to make predictions and decisions based on feelings and a narrow view, with little weight given to the persistent patterns that have long been associated with high-potential, long-term investments. Thus, we have always tried to do our best to shield ourselves from these pesky human tendencies that can lead to low probability investment decision-making. This is why we embrace process-driven approaches to investing that are grounded in understandable cause and effect relationships that have yielded good past results and that we have good reason to believe will persist in the future. That these factors have been associated with good investment returns is interesting, because neither a simple valuation ratio nor a trailing price chart can tell you much about a company. So, why would they have been useful in determining which companies to invest in and which to avoid? One reason may be that they exploit investors’ behavioral errors and the excess volatility documented by Shiller. A simple view might be that momentum works during the time when investor behavior pushes prices away from companies’ fair values and value works when those prices then revert back towards what would be reasonable given companies’ cash flows. How can a better understanding of companies make for a better systematic approach? 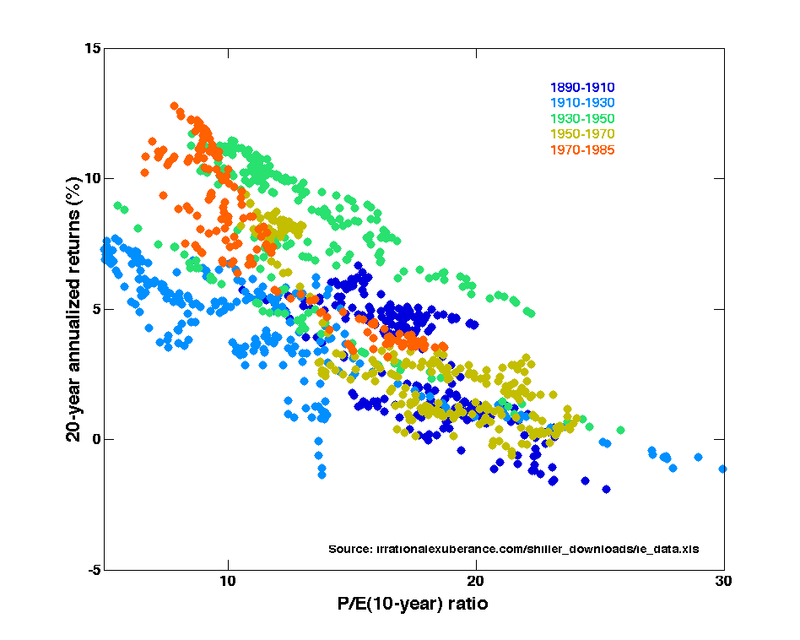 The value and momentum factors represent two well-understood and widely accepted historical patterns that have led to good long-term investment results. Yet, neither one provides much information about individual companies. This is interesting because it is a company’s ability to generate capital for its owners that will determine its long-term value. So, are there opportunities to make an investment process more robust by digging into how individual companies generate capital? A company can be thought of as a flywheel made up of interacting pieces that ultimately result in wealth being created, or destroyed, for its shareholders. This flywheel includes inputs and outputs of capital, and it evolves based on countless interactions with customers, suppliers, employees, and capital markets. For companies that generate capital, the result is a self-perpetuating system where internally generated capital can be deployed in new, value-creating ways. When you ponder this diagram, it becomes obvious that a company is not a fixed thing, but rather it is both in motion and constantly changing. Every interaction around the flywheel either strengthens or weakens that company’s standing and future prospects. For example, a failed R&D investment represents a destruction of capital, whereas an investment in a successful new product may increase the amount of capital a company generates going forward. Every interaction in this flow has some impact on the financial results that accrue to a company’s common shareholders. 1] It seems logical that the less outside capital a company needs to scale and maintain its flywheel, the better. So, what patterns can we see across time that prove or disprove this view? For example, if two companies are offered at the same multiple of earnings, are you better off (in general) owning the one that requires less capital? All things being equal, how much more should you be willing to pay for the more efficient business? 2] Investors sometimes talk about the strength of a company’s management team as a qualitative concept that must be assessed in face-to-face meetings. But, if a management team is truly exceptional, shouldn’t there be something quantifiable in this flow that distinguishes them? For example, wouldn’t a great management team make decisions that lead to above average efficiency in how capital is created and effectiveness in how capital is allocated? If the fingerprints of great management teams should show up in the data, how much of a premium should you have been willing to pay for a company with a stellar team? Conversely, should you all together avoid companies with evidence of bad management, regardless of price? If not, how much of a discount would have historically provided enough compensation for the drag of investing in businesses showing the fingerprints of below average management decision-making? 3] Companies that are financed by debt capital must eventually repay that debt, or at least be able to demonstrate their financial strength to a bank so that the debt can be refinanced. The risk associated with debt financing should therefore logically relate to the consistency and magnitude of capital generated by their flywheels. So, in the past, what levels of indebtedness have generally been tolerable for companies with flywheels of various characteristics? 4] Some companies have a clear seasonality to how their flywheels work, and some that operate In cyclical industries will see their flywheels operate differently at different points in the cycle. How can this variability in capital generation be understood, so that companies are neither viewed too favorably at moments of peak performance nor viewed too harshly when working through a natural trough? These examples help explain why we are interested in going beyond the “things” about companies, such as a factor or ratio that represents a specific moment in time. Instead, our research focuses on the “happenings” in this flow that indicate how a company is evolving. We study these happenings in the context of what has repeatedly occurred in comparable companies that subsequently experienced positive or negative developments in future cash flows, and thus, in our estimation, increases or decreases to their intrinsic values. 1] For any given company, the efficiency, scalability, and durability of its wealth-creation flywheel will determine how much cash it generates over time for its owners. 2] This, in turn, will define the company’s intrinsic value and serve as a long-term “attractor” for its future market price. 3] A good method for understanding the relationship of a company’s flywheel to its intrinsic value involves examining today’s companies in the context of recurring patterns observed across comparable companies from the past. In our careers, whenever we have taken on something new, our approach has evolved in a similar way. We start eager to learn, holding the seed of an idea that may eventually seem naive in retrospect, but which represents the minimum viable representation of our hopes and dreams. Then, as we get into the messiness of the project, we begin to learn through experience and grow our understanding of the nuanced processes that govern our domain. As we learn more and more from other people, experiments, and experience, we get better along the way. This evolution is alive and well at Euclidean. Our work is not about finding “certainty” or aspiring to find some holy grail for selecting equity investments. Rather, it is about finding the most reliable way of investing, given our present level of knowledge. The ideas we embed in our investment process are credible, not because they provide a “sure thing,” but because they are the ones that have survived all of our past critiques, delivering good results out-of-sample in the past and corresponding to logical cause-and-effect relationships that relate to companies’ wealth-creating flywheels and their intrinsic values. Of course, this is just another way of saying what Benjamin Graham wrote about over 80 years ago. In the short-run, the market behaves like a voting machine, but in the long run, the market more closely resembles a weighing machine. Graham’s point was that human behavior (the voting machine) can drive short-term market fluctuations that cause a disconnect between the price and true value of a company’s shares. Over long periods of time, however, the weighing machine kicks in, as a company’s economic performance ultimately causes the value and market price of its shares to converge.